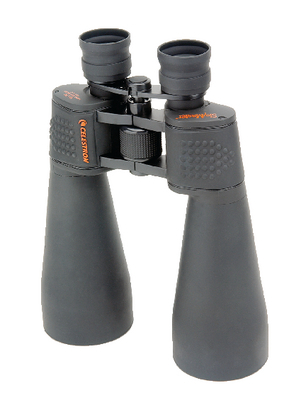 The SkyMaster Series of large aperture binoculars from Celestron offer phenomenal performance for astronomical viewing even in low light conditions. They are also a great choice for terrestrial use, especially over long distances. All models feature high quality BAK-4 prisms, diopter adjustment, and have multi-coatings for enhanced contrast. Field of view is 230 feet at 1,000 yards. Includes lifetime warranty. A excellent tripod for binoculars and cameras, this unit holds up to 4 lbs. securely. It features a three-way pan head, bubble level, and carrying case. Maximum height: 50". Folded length: 20".